Q: How did you discover your talent for arts? A: I have been drawing since young age, but my interest in tattooing started in year 2003, when I was learning how to tattoo. A: I think my biggest inspiration is to work with people, to make their dream tattoo become a reality. Every time I meet different people, I need to understand what they want, and combine their ideas with real tattoo. I think it's unique how it's possible to realize just an idea on skin, and do much more than client expected. - During the tattoo journey, did you take any classes? I learned from other artists. 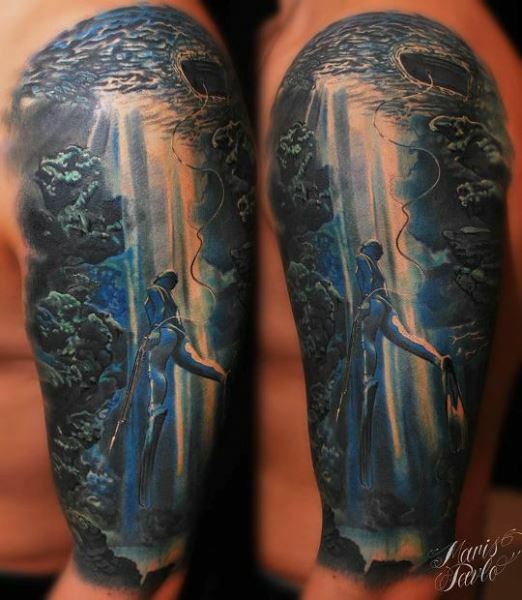 I watched how they make tattoo's, and asked what and how to do. We don't have good classes for tattooing in my country. Thanks to modern technology it's possible to make more amazing designs, it's more flexible to realize things that client's desire in short amount of time. 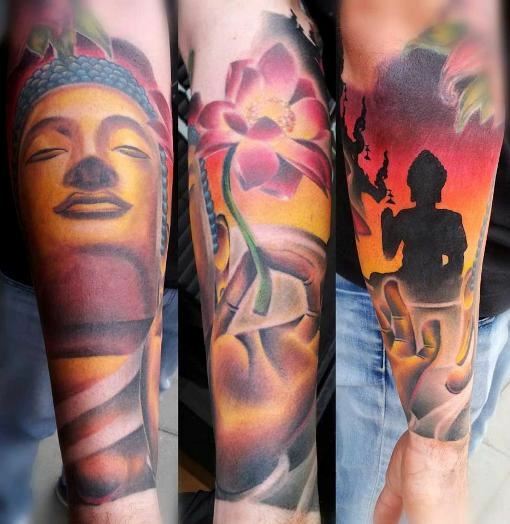 Thanks to diversity of colors you can make many amazing and colorful tattoos. Q: I absolutely love your color work, your ability to put some fantasy mix in almost every design. How do you develop your basic ideas to the final one? A: The first thing is idea from client. When we talk through all details, I start to search for resource material on internet and draw by myself, after the research and drawing is completed, I combine everything together in Photoshop. 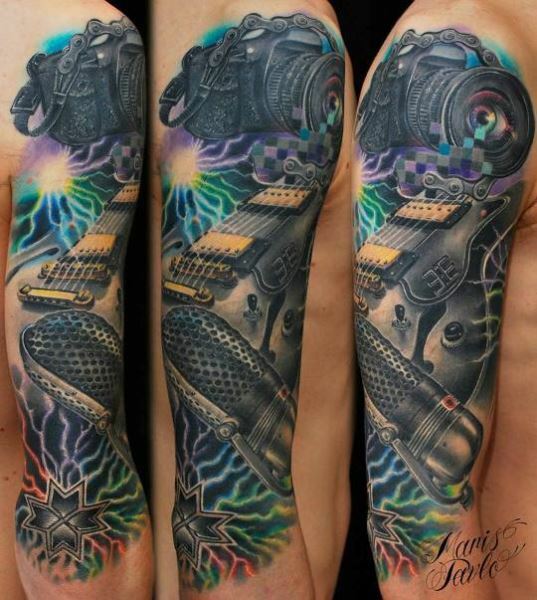 Q: Would you say, color tattoos are a bit more challenging? 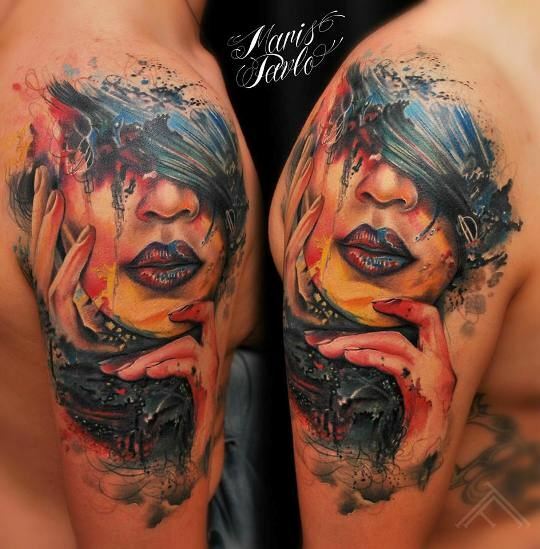 - Any tattoo inks you prefer to work with? I use Eternal, Fusion and Intenze inks. Q: Do you spontaneously mix the colors or do you use some image as reference? A: I really like to make floral tattoos, I think they are romantic and beautiful. 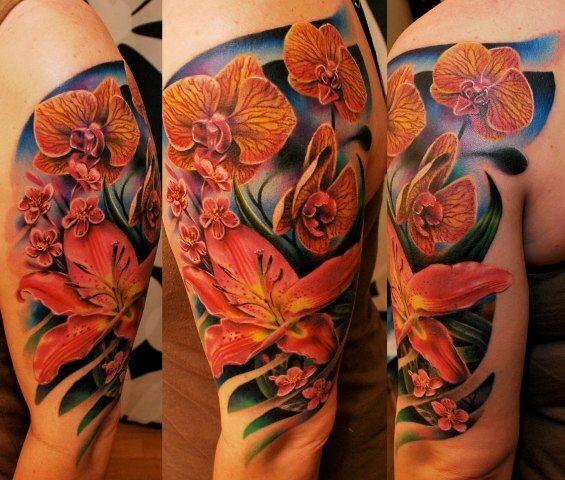 I like to use lot of colors in floral tattoos. I use reference images and color palatte, also if needed, I spontaneously mix colors together. Q: What designs are most popular in Latvia? A: Here in Latvia, people don't make only one specific design or style, because every client have his own idea and desire. Only time by time, there are some people who wants something symbolic related with Latvian culture or simply patriotic tattoos. Q: How long does it usually takes to get an appointment? A: It's possible to make appointments within 2-3 month. 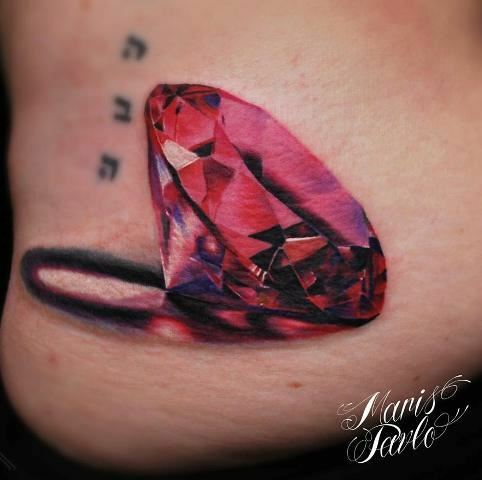 You can contact me on e-mail: tattoofrequency@gmail.com, if you want a fantastic tattoo. Q: Even now, when we have so many websites that educate young people about the risks of tattooing etc, as a tattoo artist, what would you say is the BIG NO NO, when it comes to getting a tattoo? 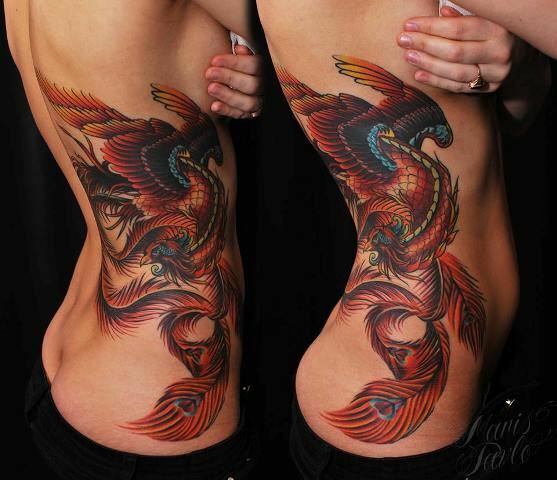 A: I always say no to clients who come to my studio and say "I want tattoo, I don't know what, but I want one.". 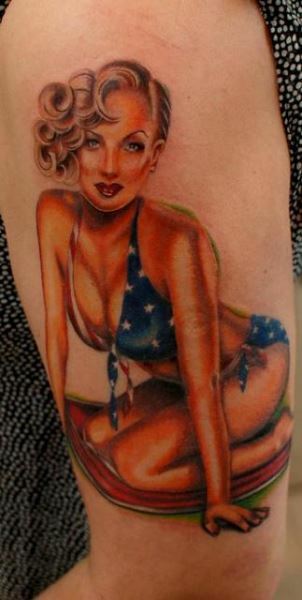 - What are some of the biggest mistakes that people do before they decide to get a tattoo? I think you don't make tattoo, just to have tattoo. I think you need to think through, what you want, and then with some idea, you can come to studio, and we can help improve and realize that idea. Q: Mr.Pavlo, after all those years of hard working, what's the next challenge? 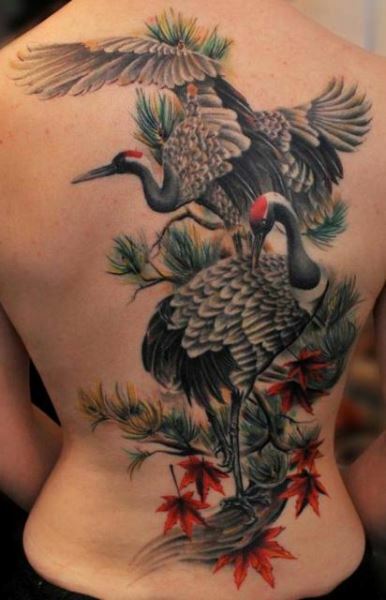 Would you try to tattoo something completely different? A: I think I have leveled up in years, but always you can learn more and do better. If you think that you're the best and you know everything, you can put down your machines. I do almost all styles, only I can't imagine to do only old school or Japanese style. A: Never stop, keep learning. Go to your dreams.